Those oddly-matched “Two Worlds” of Tarzan and Frontierland‘s Old West will be colliding again. That’s right, The Tarzan Encounter will be making a surprise comeback from June this year! The confirmation comes via an audition announcement on the Disneyland Paris Casting website. Featuring dance and acrobatics set to the music of the film, it originally ran over Summer seasons at The Chaparral Theater from April 2000 to September 2008. The show was previously cancelled in February 2009 during a period of major decline in live entertainment at Disneyland Park which also saw The Legend of the Lion King come to a close at Videopolis Theatre just a month before. A fortnight after the cancellation, rumour suddenly surfaced that the show would, in fact, return for at least July and August, but it wasn’t to be. Frontierland’s theatre venue, the largest in the park, ultimately paid host to a brand new show, Goofy’s Summer Camp, which failed to win many fans and failed to return in 2010, leaving the theatre empty over the Summer for the first time in its history. Looking for gymnasts and aerial acrobats as well as lead actors for Tarzan and Jane themselves, the casting call notes a contract from early May, although the actual premiere date is later due to time needed for rehearsals and the show will run from 11th June to 4th September. Bringing The Tarzan Encounter back to the stage after two years will be a popular move for visitors lamenting the park’s often empty theatres. However, having to revert back to an 11 year old show like this may just be further evidence of the way the once highly-regarded stage show offering at Disneyland Paris has faded. Energy and budgets in recent years have shifted to the Central Plaza “spectaculars”, which guests are forced to watch over each others’ shoulders, standing up and outside in all weather. 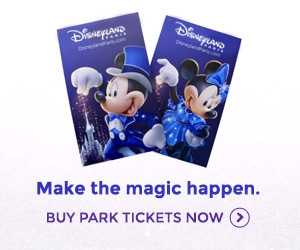 In fact, it may be that the new Mickey’s Magical Celebration show from this April is currently scheduled to be a single, evening-only daily performance which has prompted this return for 2011. Captain EO returns to Disneyland Paris, 12th June!